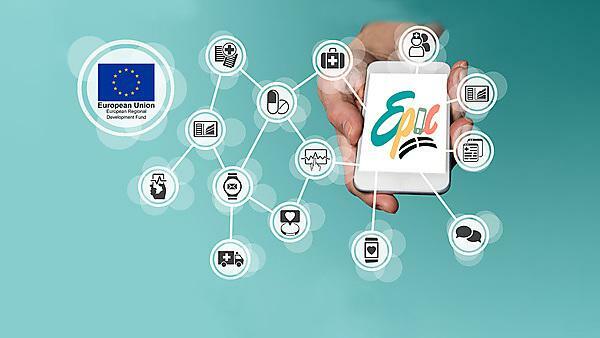 At EPIC, we are committed to sharing our knowledge with local SMEs and Health and care professionals, and in this series, we will be delving into new issues but also aiming to reach further than Cornwall. We have teamed up with professionals and PhD students from the University as well as successful health-tech SMEs to create our spring programme. All webinars are easy to register for and participate in, and are completely free. This webinar will discuss the health aspects of living with COPD from a member of an awareness group, the Breathers. This group decided that they not only wanted to support the health and wellbeing of other people in their local area with COPD but to educate children of the consequences of having COPD, which is commonly protracted through smoking. Over the last ten years the Breathers have delivered ‘no holds barred’ information sessions in local schools, showing and explaining how COPD has affected their lives and health issues. However, since meeting EPIC they have looked into expanding these sessions to a wider audience through e-resources. In this webinar we will explore this process and their thoughts on how to project will develop further in future. The webinar will include a panel element, with a member of the Breathers group, a Patient’s Association manager who worked with both EPIC and the Breathers to support the progress of the project and to promote the inclusion of eHealth. Dr Shenton will also be exploring how webinars could be used as a research tool, in informing research through its sessions. This will be explained in more detail at the start of the webinar. Do you have apps on your phone that you never use? Make sure your app doesn’t sit there ignored - this webinar will consider ways of motivating people to use your app to be centre of their own health and care, and stand out from the rest! This webinar will explore relevant psychological principles within behaviour change to understand individuals’ motivations and how to incorporate these when designing apps or helping end users benefit from these eHealth technologies. If you are an SME hoping to develop an eHealth app or intervention, this could promote better understanding to inform your developments, or if you work in health and care, or are studying in this area, it could help you become more savvy on how eHealth could effectively support your patients in their health journeys. Straying from the tone of the rest of the EPIC Webinar series, this webinar is for our friends and colleagues outside the UK, especially those from Spanish speaking countries. Our robotics lead researcher and 100% original Latin American will help you explore the emerging market of eHealth, with a special focus on robotics and AI applications. We will discuss the upcoming challenges for the healthcare sector, the current market, and the barriers and facilitators for entrepreneurs that are willing to start innovating this industry. We will also tell you how you, your company or project could start working with us. This webinar will include the amazing support and invaluable feedback from Stephen Smith, CEO of Robo Health Global, who will help us understand the journey of eHealth companies through an international perspective. This webinar will explore the latest evidence surrounding using mobile technology to prevent and manage gestational diabetes (GDM) focusing on the real experiences of a panel of healthcare professionals who help to care for woman with GDM and reveal the real-life impact that it has had on women’s experiences of pregnancy. The webinar will also include an interactive session to shape the future of caring for other expectant mothers, by sharing your opinions and experiences which will contribute to ongoing research at the University of Plymouth. If you are currently living with GDM, or have in the past we would love for you to join us to revolutionise the care of other women and understand how you managed the condition, and find out if technological advances would have benefited you further. If you work in health and care, or are studying in this area, and have a particular interest in gestational diabetes and management of health conditions during pregnancy, we would love for you to join us! No only to perhaps learn a thing or two to help support your patients, but to teach us about your experiences too.